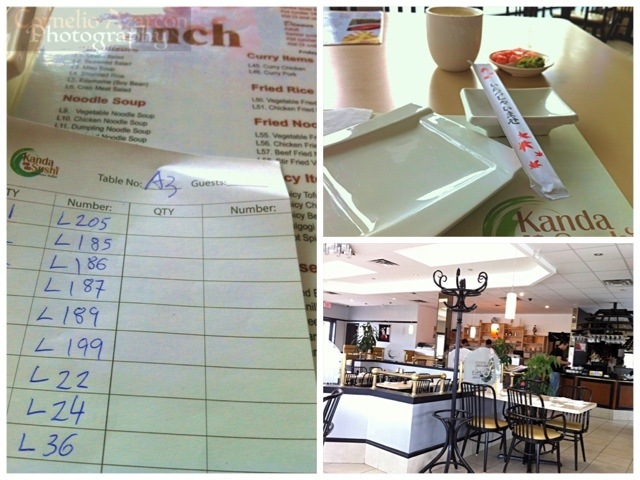 Last Friday, I decided to have sushi for lunch, so I went and gave Kanda Sushi in South Mississauga a try. Lunch buffet is usually $13.95, but is $14.95 on Fridays, Weekends, and Holidays. 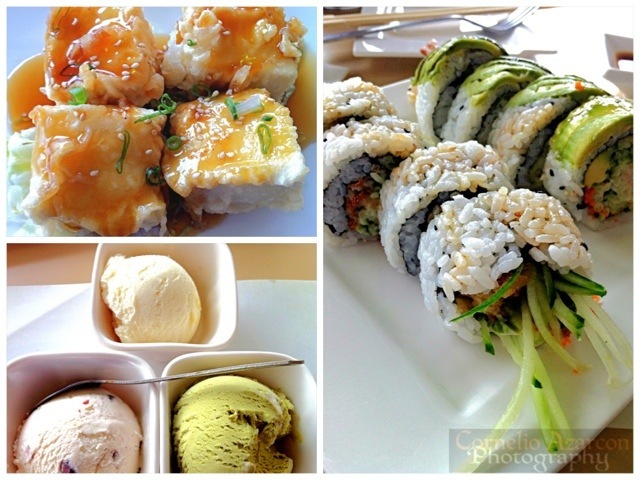 The restaurant doesn’t have an atmosphere that makes you feel like you’re going to eat sushi or Japanese cuisine. I also didn’t feel welcomed by the host who wasn’t as friendly as in other restaurants. I filled out the form and waited for my meal. They served me green tea while I waited. My first few plates of food arrived…the calamari was a little overcooked, it was somewhat tough, but tasted ok. The salmon pizza consisted of two bite sized pieces, with some bell peppers in between the rice crust and the salmon pieces. It tasted ok, but the salmon was light pink, not what I’m used to. Looks like this restaurant uses a different species of salmon, most likely Pink Salmon (Pacific). 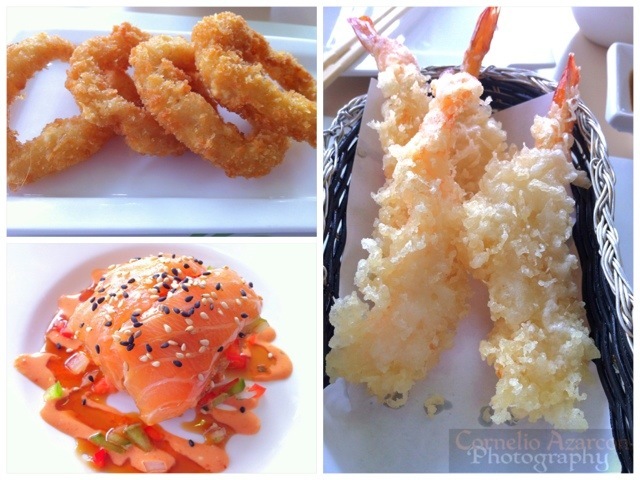 The shrimp tempura was good, not too greasy. The seaweed salad was ok as well, but looks like has some artificial colouring to it as it is somewhat bright green instead of a dark sea-green colour. 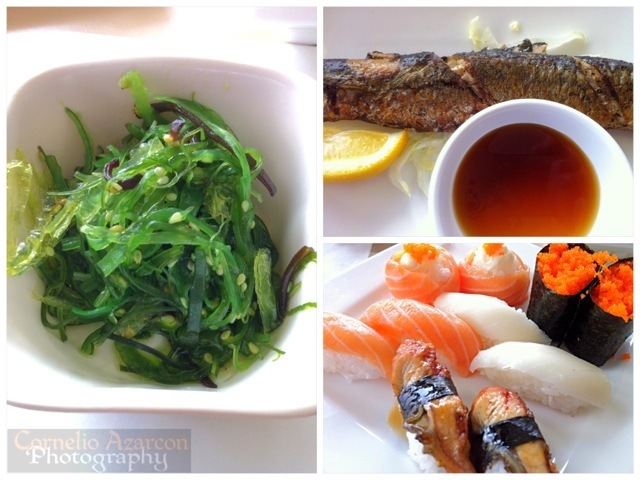 The nigiri sushi pieces were ok as well. The masago (flying fish roe) was good, the salmon sushi was good (still pacific salmon though), the Unagi (barbecued eel) doesn’t look barbecued. No charring marks or slight crispiness. It looks warmed up in the microwave, but still tasted good. I was disappointed however with the white tuna sushi…it wasn’t white tuna, it’s most likely escolar mislabeled as white tuna. White tuna has a slightly pinkish hue to it, and this what white! The grilled mackerel saved the meal. It was well seasoned and cooked perfectly. It was the dish I enjoyed the most. For my last few dishes, I had the deep fried tofu, tasted nice, but the pieces were quite big. The sushi rolls were tasty as well, but again, huge pieces. The red Ben ice cream was very flavourful, same with the vanilla ice cream and green tea ice cream. Again, the scoops were big, I thought they would be smaller, that’s why I ordered three…boy was I wrong. Overall, meal was passable. No highlights, just a few disappointments. Not sure if I’ll return again, especially if there’s mislabeling going on.